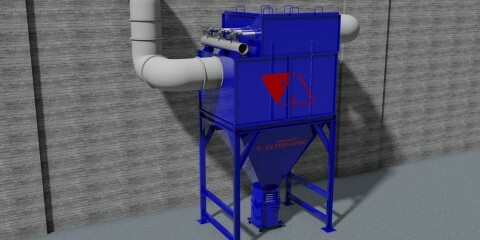 HCP dust filter cartridges open up new dimensions and possibilities in the design of modern dust extractors. Strong and hard wearing, the cartridges are designed for ‘pulse-jet’ cleaning. 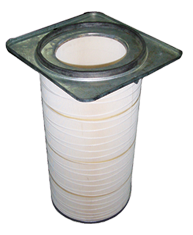 Depending on design either a diffuser plate or a wire cage is inserted into the inner cylinder, located in the clean section of the filter cartridge, to give added support. The top plate can either be cast aluminium or mild steel spinning. Specially designed venturies can be supplied where design considerations justify their selection. The filter cartridges can be supplied for mounting on the clean or dirty side of the dust collector’s plenum.